It is my duty as a cat owner (29 cats over the past 53 years) to make decisions for the health and welfare of my cats. As a veterinarian, I have the added responsibility to my clients to help them make the proper decisions for their family. The declawing issue has an added component of whether to let pet cats go outside or stay 100 percent indoors. The better answer is to never let a pet cat go outside, for the following reasons related to its health and safety and life: getting hit by a car; fighting with other cats, which can lead to wound infections and the transmission of feline leukemia and feline immunodeficiency virus; killing song birds; upsetting neighbors by digging in flower beds; being trapped or shot; or being mauled by dogs. In my years as a veterinarian, I have seen too many injuries and deaths, making my case for 100 percent indoor cats. However, any cat indoors may decide it likes to scratch on the sofa or rug or climb the curtains. And there are folks who would gladly adopt a cat from our overflowing shelters and rescue groups, but, if the cat causes damage, it could get returned or not adopted at all. So the decision whether to declaw your cat should begin with a discussion with your veterinarian. Not all cats have to be declawed, and some may be trained to scratch in one spot. It is an individual decision. 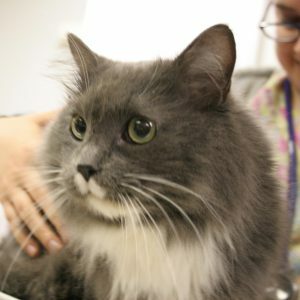 However, the decision to declaw can improve the lives of many many cats that would otherwise spend their lives in shelters or be euthanized or be allowed to go outside to face the dangers I mentioned. I have declawed all of my cats. Modern veterinary medicine is not barbaric (as stated by the New Jersey legislator in his proposal to ban declawing) or tortuous. This operation is done under anesthesia, where the cat is monitored, given intraoperative pain medication and sent home with excellent pain pills for several days. I can honestly say that my clients and I have not seen any indication of a cat being in severe pain. The cat’s personality is not altered, and the cat thinks it still has claws, as we witness it happily “scratching” on the sofa. For those who decide on declawing, it is a decision that should not be apologized for or entail any guilt. The New Jersey legislator perhaps made his decision to sponsor the bill criminalizing declawing by listening to street talk with misinformation.